The International Energy Agency (IEA) has developed an Efficient World Scenario (EWS) to highlight the benefits to the global energy system from the adoption of cost-effective energy efficiency measures. 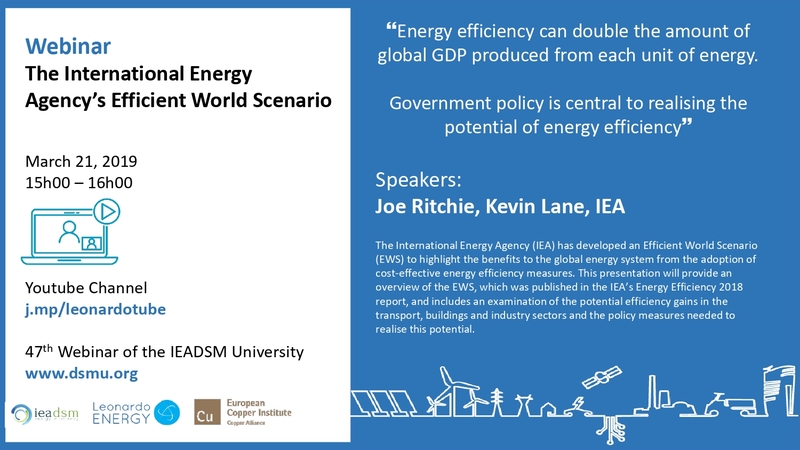 This presentation will provide an overview of the EWS, which was published in the IEA’s Energy Efficiency 2018 report, and include an examination the potential efficiency gains in the transport, buildings and industry sectors and the policy measures needed to realise this potential. Download the presentation of the speakers here.